What Kinds of Work Do People Do in Japan? Photo Courtesy of Ryoko Yamamoto. While the number of female employees gradually increased after the war, there was severe gender discrimination in the workplace. Assuming that women should work only until they married, many companies required women to retire when they married. Using the constitutional provisions about gender equity, women began to file lawsuits against companies that forced them into retirement. 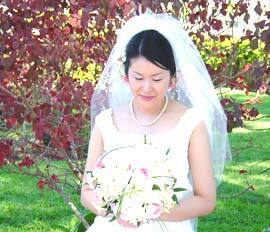 In 1966, the Tokyo District Court ruled that a woman could not be dismissed simply because she had gotten married. In 1969, the court ruled against a company that had a gendered retirement age of 55 for men and 30 for women. Even after marriage retirement and forcing women to retire early became illegal, many women have continued to retire at a young age due to the difficulty of balancing childrearing and work. The labor force participation rate, which indicates what percentage of the population works at different ages, shows that job participation among Japanese women shifts in an M shape as they age. The labor force participation rate among Japanese women is high when they are in their 20s, becomes lower in their 30s when they enter the childrearing stage, and then increases in their 40s when children become independent. Click CHART to see the labor force participation rate among Japanese women by age.